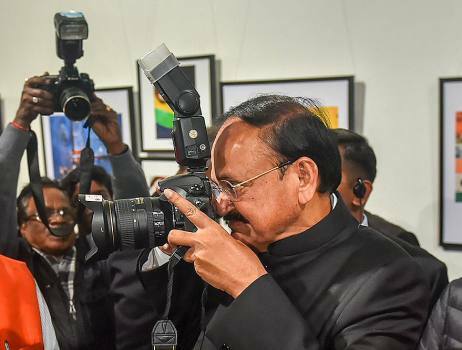 Vice President M Venkaiah Naidu during a visit to 'The Big Picture Exhibition' in New Delhi. 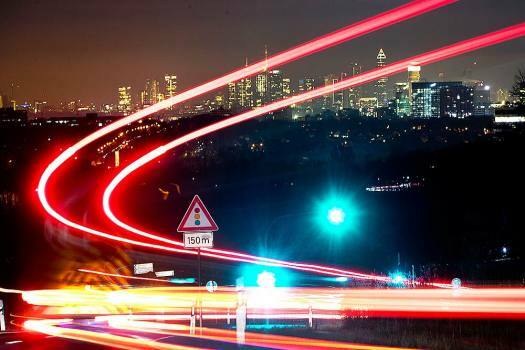 Long exposure picture shows car lights of commuters driving down to the city of Frankfurt, Germany. 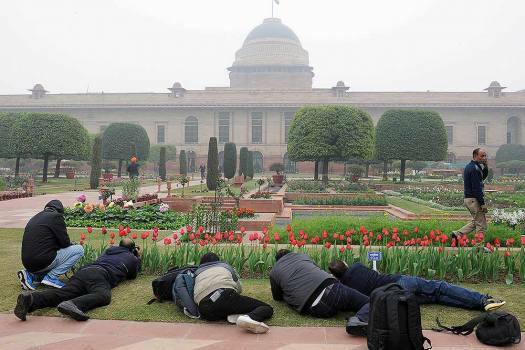 Media camerapersons click pictures of the flowers during the press preview of the Mughal Gardens, at Rashtrapati Bhavan in New Delhi. 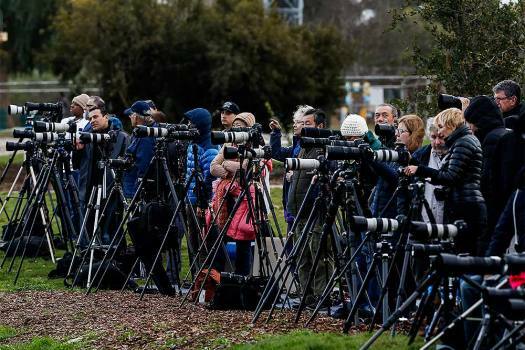 Photographers stage at Kenneth Hahn Park in Los Angeles as they wait to capture the supermoon. 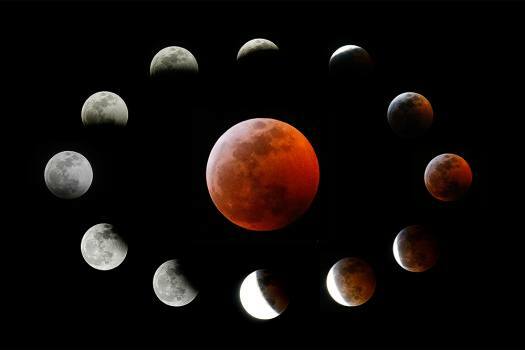 This combination photo shows the totally eclipsed moon, center, and others at the different stages during a total lunar eclipse, as seen from Los Angeles. 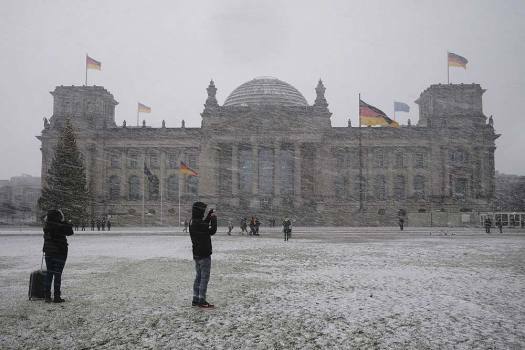 Tourists take photos at the Place of the Republic in front of the Reichstag building during a snow fall in Berlin. 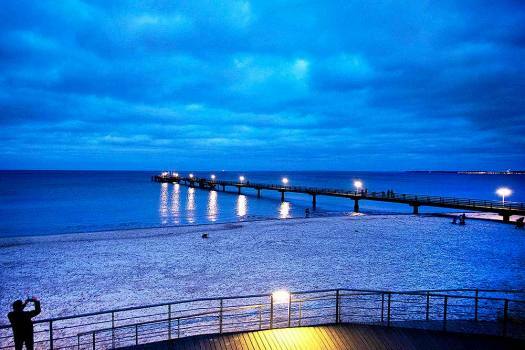 A man takes a picture of the pier and the Baltic Sea in Scharbeutz, northern Germany. 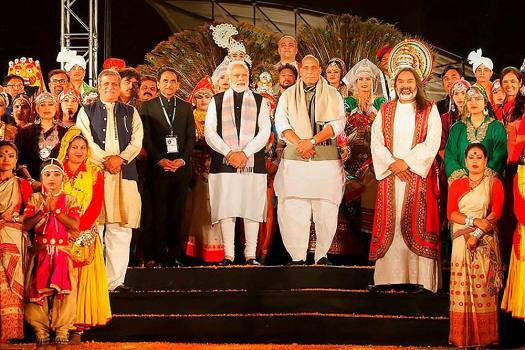 Prime Minister Narendra Modi and Home Minister Rajnath Singh pose for photos with a group of artists, in Kevadiya. 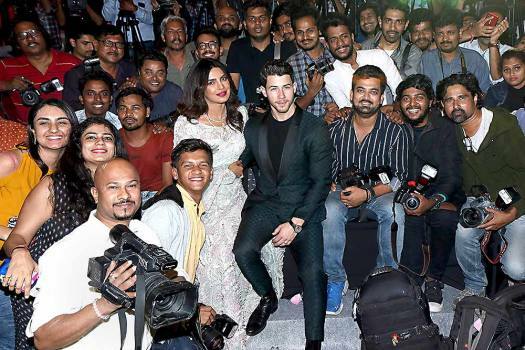 Newly-wed Bollywood actor Priyanka Chopra with husband-singer Nick Jonas pose for photos with photographers during their wedding reception, in Mumbai. Bollywood actors Ranveer Singh and Deepika Padukone pose for a photograph during their wedding reception party in Mumbai. 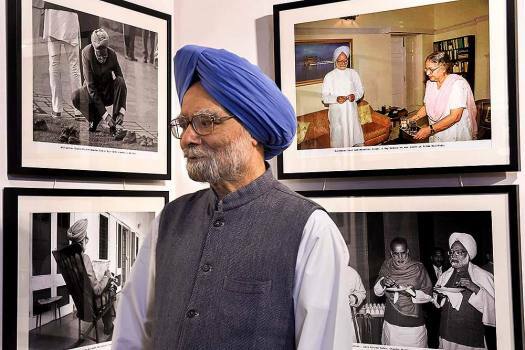 Former prime minister Manmohan Singh visits the photo exhibition '200 & One' by Photojournalist Praveen Jain, in New Delhi. 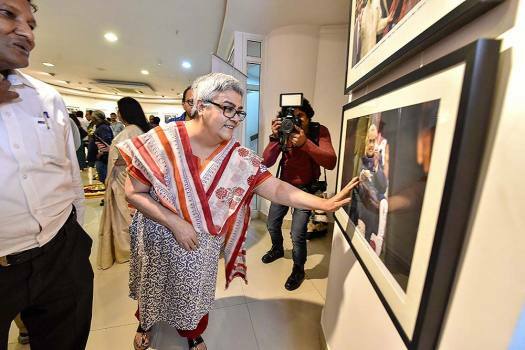 Namita Bhattacharya, daughter of former prime minister late Atal Bihari Vajpayee, visits the photo exhibition '200 & One' by Photojournalist Praveen Jain, in New Delhi. 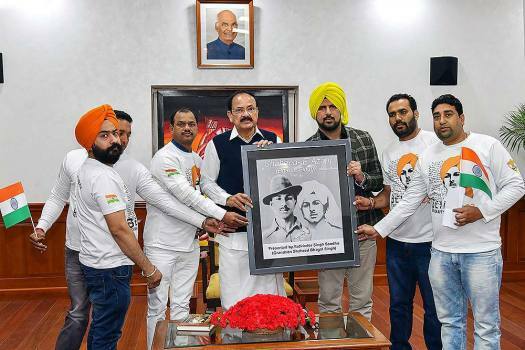 Mohandas Karamchand Gandhi was an eminent freedom activist and an influential political leader who played a dominant role in India's struggle for independence. 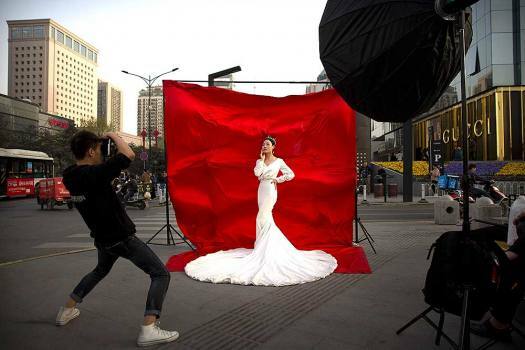 ‘The Afghan Girl’ photographer’s most famous works are on display in the Russian capital. 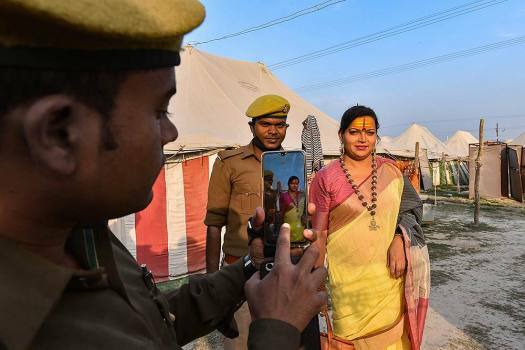 Rajasthan and Kashmir add colour to the event, but more reasons make ‘The Untold Story’ special. Mother elephant is seen crossing the road while braving flaming tar balls followed by the baby elephant. Both shocked and panicked. As an artist of reasonable recognition, Sanjay Bhattacharyya chose to one day begin using the camera to express his sense of visual beauty. 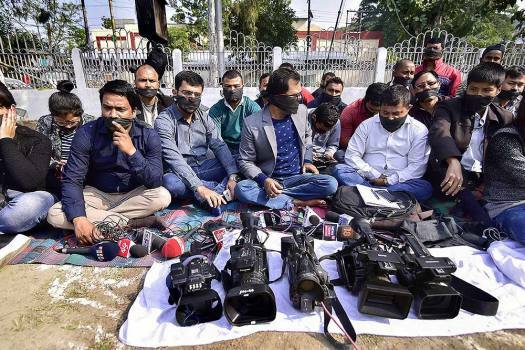 The results have brought the Delhiite Bengali great joy. 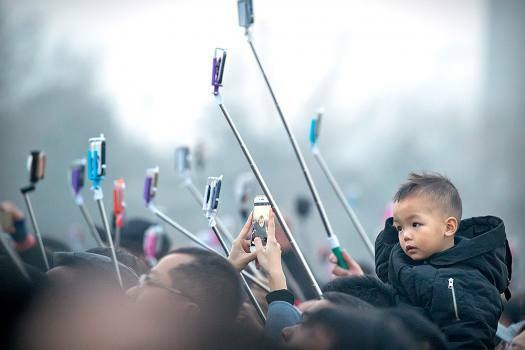 This Photo Desperately Needs A Quirky Caption!